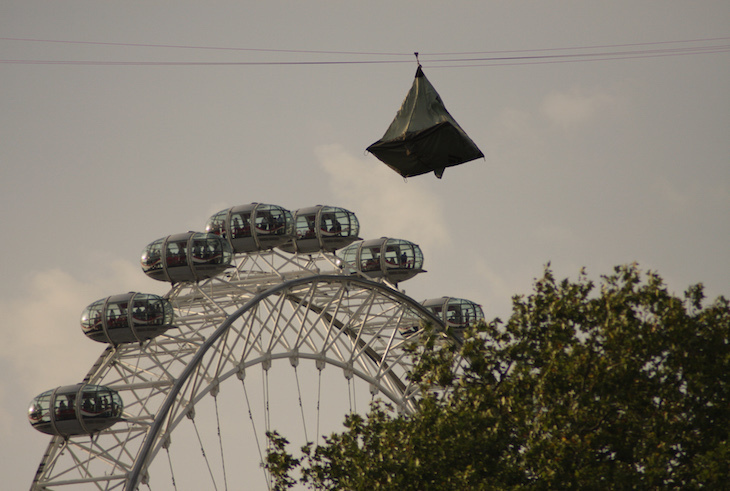 Fancy Sleeping In A Tent Suspended From The South Bank Zipwire? 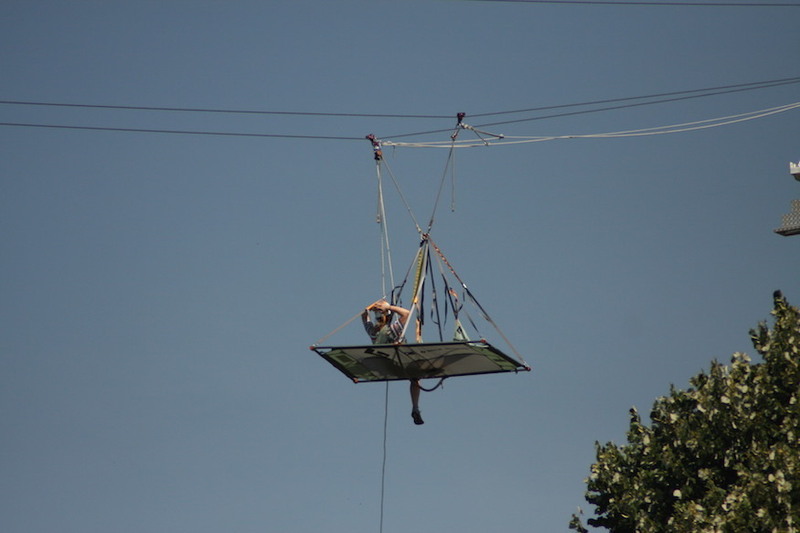 Laura Reynolds Fancy Sleeping In A Tent Suspended From The South Bank Zipwire? Got a head for heights? You can now sleep in a tent suspended 35m above Archbishop's Park, next to the Thames. The tent will be suspended from Zip Now London, the zipwire that's popped up in the park for the summer. The stunt is a joint effort between the zipwire team and AirBnB, who are touting it as "the most exclusive accommodation on AirBnB":. The "zip and kip" experience is available for one night only (10 August 2018) and costs £100. Breakfast and coffee in the morning are included. To be in with a chance, apply here — it's not clear when applications will close, so be quick. It's open until September — more info and tickets here.